When we read aloud to children we are not specifically teaching them how to read, but instilling in them a love of reading and books. Each book we read aloud enriches the path the child takes toward eventually reading on his or her own. 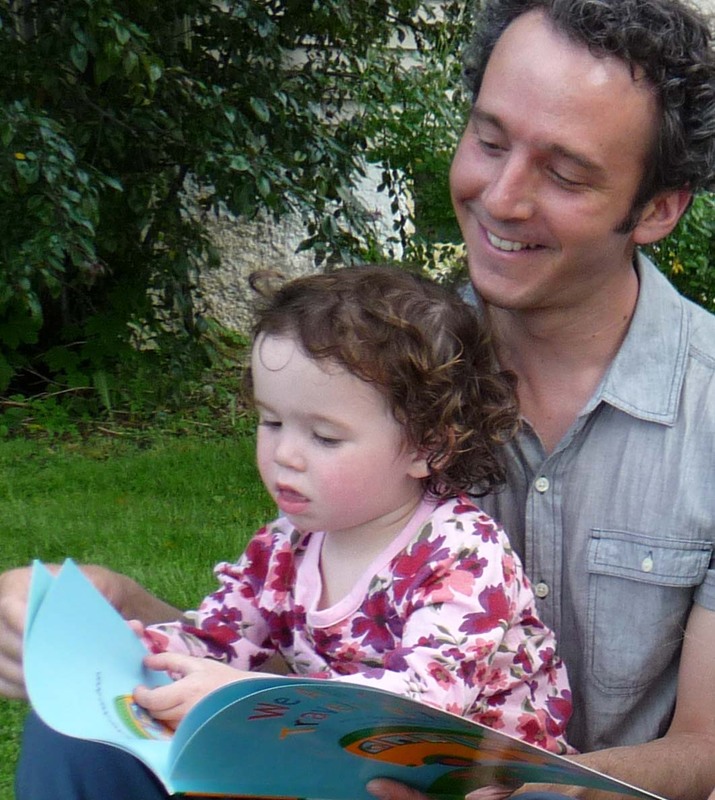 Three and four-year-olds who have had daily experiences with books in their young lives will start making the connection between the letters on the page and the sounds they represent, then the words printed in a book and what is read aloud. They will see that the illustrations also tell the story. At some point children will begin to recognize some words and be able to recite a favorite book from memory. They will start to anticipate what happens next in a story and join in as you say a repeated phrase in the book. All of the ways a child enjoys books and stories now will give the child the confidence to want to learn to read, and will become strategies the child will use later on to read books independently. “The Three Little Javelinas” by Susan Lowell, illustrated by Jim Harris, is a retelling of the classic three little pigs story with spicy, southwestern vocabulary. This is a non-violent (no one gets eaten!) and humorous version of an old favorite. “Francis the Scaredy Cat” by Ed Boxall. The darkness and strange sounds of the night are just the beginning of the not-too-scary things that worry Francis the cat. Your pre-schooler may have some of the same concerns and will be comforted by how it all works out for Francis. “When the Moon Fell Down” by Linda Smith and Kathryn Brown is a night-time adventure. What would happen if the moon saw the world from the point of view of a friendly cow? The rhyming text tells the story in a melodic waltz accompanied by soft watercolor illustrations. Create your own literacy sparks by reading aloud to your child. For more information about author Mem Fox, visit her website at http://www.memfox.com. Happy family reading! If you are the parent or caregiver of a one or two-year-old, you know that read-aloud time may not always be a quiet time. Young children are movers and wigglers and may stand up, run around, shout out, and sometimes not sit still for an entire book. Children at this age are learning by doing, not just by looking and listening. This is a time to go with the flow. Read when your child is interested and play when your child wants to play – or combine reading and playing! Just keep in mind that reading and books should be always be fun, not a chore. The naturally short attention span of a young child will get longer as his or her experience with hearing books read aloud grows. • Keep it short. Read for brief amounts of time and read often during the day. Try books with one line per page such as “I Wish I Were I Pilot” by Max Grover or “Daisy’s Favorite Things” by Jane Simmons. • Show your enthusiasm for books. Use silly voices, hand gestures, and drama to read! • Choose books that are interactive. Books that have something to look for in each picture such as “Find the Puppy” by Phil Roxbee Cox, illustrated by Stephen Cartwright, will be a challenge for your little one that can keep him interested in a book. • Keep moving. Read books that feature movement and then do the actions with your child. “Clap Your Hands” by Lorinda Bryan Cauley and “Head to Toe” by Eric Carle will both get you jumping!• Sing a book. Songs are a playful way to introduce words to your child. Make up a little tune to go with the words of a favorite book or sing a book that already comes with music such as “We All Go Traveling By” written by Sheena Roberts. • Read about familiar things. Your child at this age will be more likely to listen to a book about her own world. Try “Corduroy’s Busy Street” with pictures by Lisa McCue or “Purrrrr” by Pat Cummings.• Find a quiet time. Read when you know your child is already sitting still, such as during snack time or at bedtime. 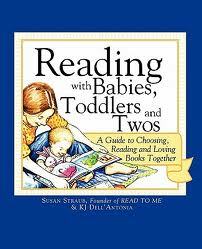 A great resource containing many book lists is “Reading with Babies, Toddlers, and Twos” by Susan Straub and KJ Dell’Antonia. Keep it fun! Happy family reading! Welcome to the Family Reading Corner, a cozy little place on your computer (also published weekly in the Ithaca Journal), where you can curl up and read about how you can make children’s books a special part of everyday life for your family. Read about book and reading traditions your family can adopt, tips for reading aloud to your children and recommendations of our favorite children’s books. Anyone who reads to children (including grandparents, friends of the family, and teachers) is encouraged to visit the Family Reading Corner right here, every week, to fall in love (again) with children’s books. Research has long shown that reading aloud to your child is the single most important activity to foster a love of books and build a strong foundation for reading. In fact, the simple act of reading to a child is so power-packed with good that it simultaneously builds vocabulary, lengthens attention span, increases background knowledge, and enriches imagination. Taking a child on your lap and reading aloud also provides the time for you to develop a warm and loving relationship as you share the stories and pictures in books. Start early (as soon as your child is born, or even before!) and read together often. Babies enjoy very simple books that have a lot of repetition, like the “bub-bump, bub-bump” of the mother’s rhythmic heart beat that baby heard before birth. Infants won’t understand the meaning of what you read; it’s the sound of your voice that is most important. You may notice that babies especially love the soothing sound of rhyming words. The three “R’s” – repetition, rhythm, and rhyme, can be found in Mother Goose, lullabies and many “board books” – the kind of books made of thick cardboard pages that baby can’t rip. “Counting Kisses” by Karen Katz is a counting book, and so much more. The sing-song text gives the reader lots of opportunities to play with baby, connecting words to baby’s world. You’ll be touching your nose and baby’s toes and giving hugs as you read aloud and look at the beautiful illustrations together. “Clap Hands” by Helen Oxenbury is short and sweet, just like your baby’s attention span! Give this board book to your baby and it will most likely go right in her mouth, because she explores so many things by teething on them. The simple text of this book describes things babies do such as clapping, eating, playing, and waving, and they love it.